This home in Airglooney, Tuam, is a former Irish Sugar factory designed residence, constructed in the 1960s for the management of Irish Sugar. 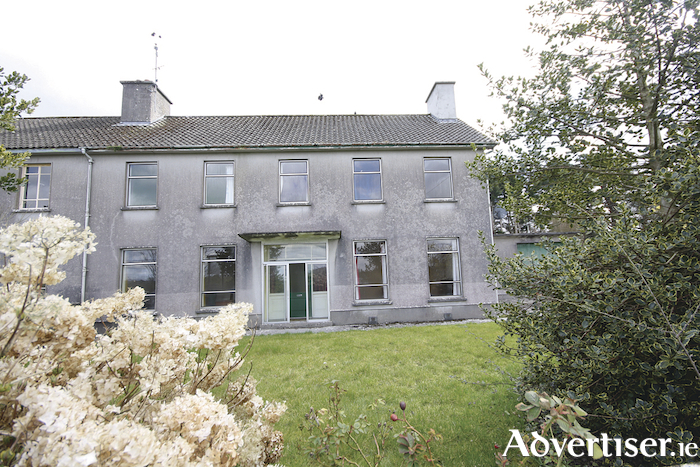 The property is located just off Ballygaddy Road, in a superior location in Tuam town, less than 1km from the town centre. The property is located in the exclusive Airglooney enclave which has a number of very attractive houses. The property was architecturally designed in the 1960s and has superb character and potential, now in need of a little modernisation, but still retains many original features such as high ceilings and attractive period style windows. The property extends c2,000sq ft stands on a large site of c0.4 acre. Accommodation comprises two reception rooms, office, kitchen, downstairs wc, and utility on the ground floor. Upstairs there are five bedrooms and a bathroom. The property stands on a large site and has planning permission for an additional detached residence on the grounds. Alternatively the site could be retained as a large garden for amenity purposes. The house itself is a very attractive property for interior design and modernisation enthusiasts. Viewing is by appointment – contact Joe Greaney, Keane Mahony Smith auctioneers, on 091 563744. Tuam Hospitality_Recreation 091 563744 large site AirG Inc.